A new machine for cooling the scalp will help reduce and prevent chemotherapy-induced hair loss in patients receiving drugs such as doxorubicin, paclitaxel and docetaxel. Hair loss is one of the most common side effects in oncological patients undergoing chemotherapy. It is caused by the sensitivity of hair root cells to the drugs, which leads – in most cases – to partial or total hair loss. Apart from the physical effects in many patients, particularly women, hair loss leads to severe emotional response following the acute change in appearance. At the initiative of the Oncology Institute team at the Shaare Zedek Medical Center, directed by Prof. Alberto Gabizon, and the Oncological Day Care Unit headed by Dr. Ruth Isaacson, they brought a special machine to Israel, the only one of its kind. 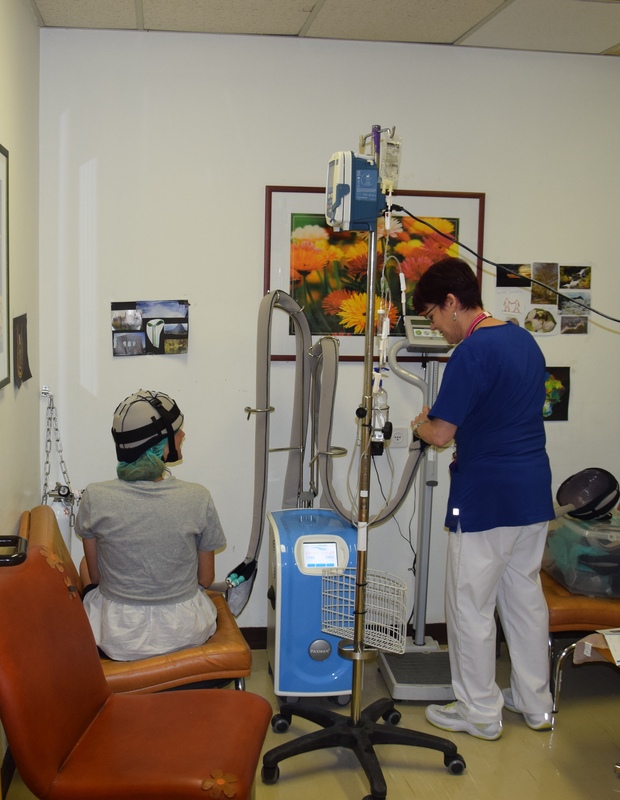 The machine cools the scalp, thus preventing or reducing hair loss in women receiving chemotherapy. The new machine, invented by the Paxman Company in England – where it has been in use for a number of years, with promising results of 50% and more hair loss reduction – is also undergoing trials in medical centers in America.